Last night’s Game of Thrones, “The Lion and the Rose,” featured Sigur Rós’ melancholic rendition of “The Rains of Castamere.” The apocalyptic song, written by Game of Thrones author George R.R. 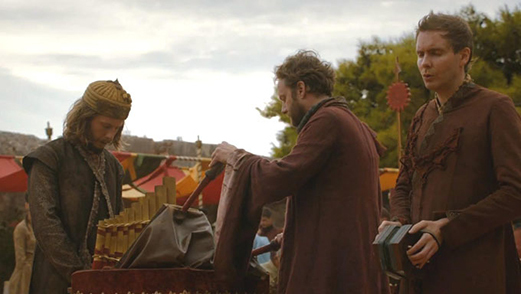 Martin and composed by Ramin Djawadi, has previously been covered in season two by The National. Hearing this song usually indicates something tragic is about to go down. If you didn’t catch it while watching, you can listen to it above. 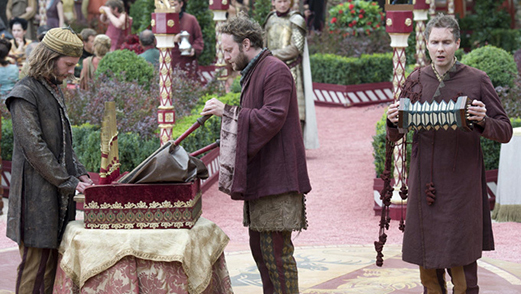 Sigur Rós also made a physical cameo in this episode: they had a quick appearance as the official band at Joffrey and Margaery’s wedding. This isn’t the first time Game of Thrones has casted musicians for acting roles: creators David Benioff and Dan Weiss have previously had members of Coldplay and Snow Patrol in guest roles.